We set out for the Olympic Peninsula with all the necessary provisions one might need when escaping into the wilderness: too many groceries for the three days we’d be spending there, and more than enough pastries to fuel us through an otherwise uneventful three-hour drive. 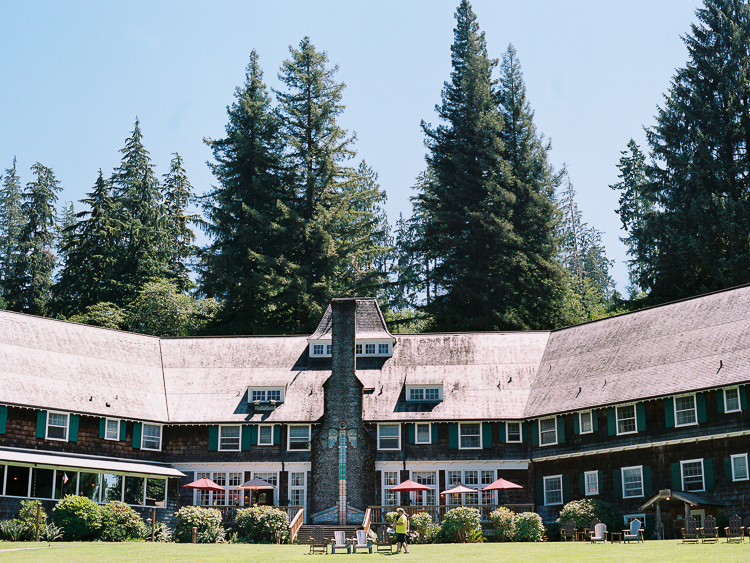 We headed west on I-5, watching the towns we passed get smaller and smaller, chewing on caramelized hockey pucks of tender kouign-amann and impossibly flaky croissants from Crumble & Flake. 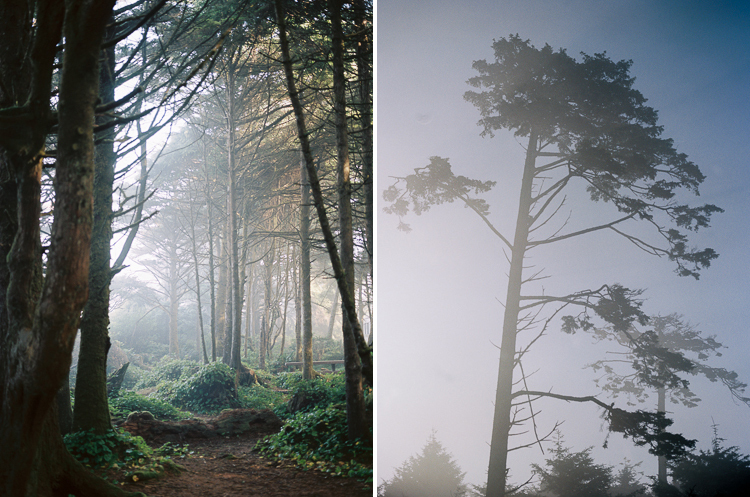 We paused in Aberdeen, the fishing village where Kurt Cobain was born, less because Kurt Cobain was born there and more because it seemed like the last moderately-sized town we could buy gas and lunch in before Route 101 snaked into the forest. Al’s Hum-Dinger was the last outpost before Aberdeen thinned out into its outskirts, so we ordered a burger, a haliwich and fries at the waterside counter. Our very kind cashier calculated the tax on our bill by hand, then sent us back to sit in the car while everything was fried up. She banged on the shack’s Plexiglass wall when it was done; outside, it was misty and cool, with wisps of fog hanging over the water. And then we headed inland, into Olympic National Park. 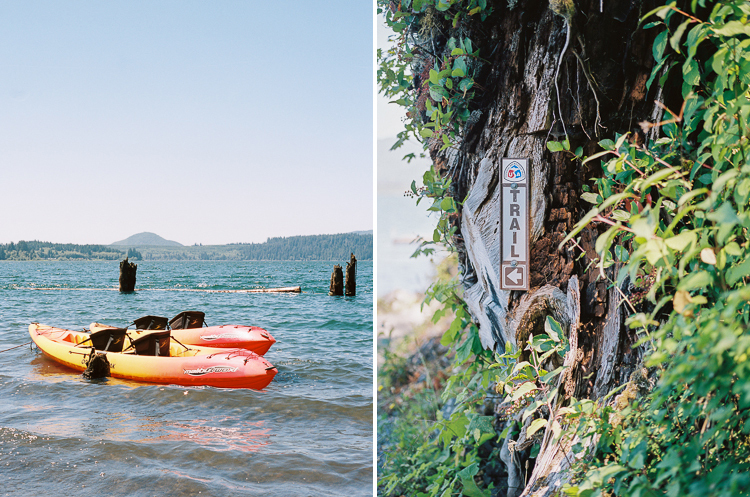 Our first stop was Lake Quinault; we hiked for a few hours, first through the cool, mosquito-infested air of the rainforest, emerging by the sunny shores of the lake itself, then passing the Lake Quinault Lodge before looping back into the trees. 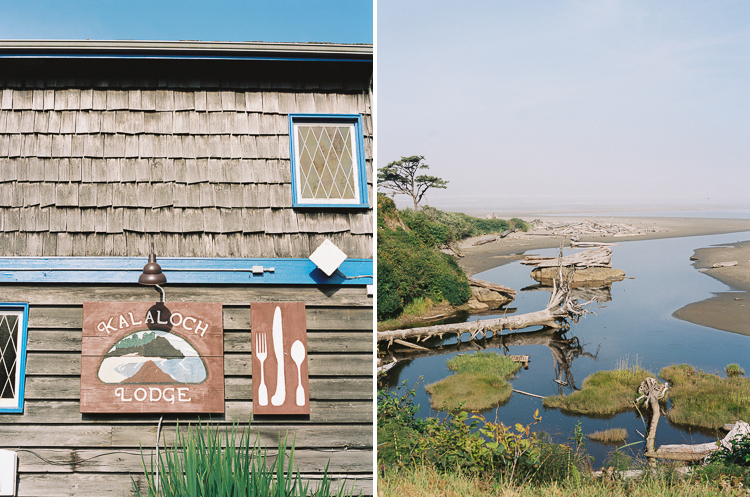 That night, we made camp at Kalaloch, where we’d reserved an oceanside spot. The campground was completely full, but our spot was big and bordered by trees and felt very secluded nonetheless. We built our first-ever fire—more of a nail-biting affair than I’d bargained for, but ultimately successful enough to grill three hot dogs and two s’more marshmallows apiece. The salty wind left curls in my hair, which by that point smelled very much of smoke, and we fell asleep to the sound of gently crashing waves. I only had one nightmare about all the tsunami evacuation zone signs we’d passed on the way in, which I considered a victory. 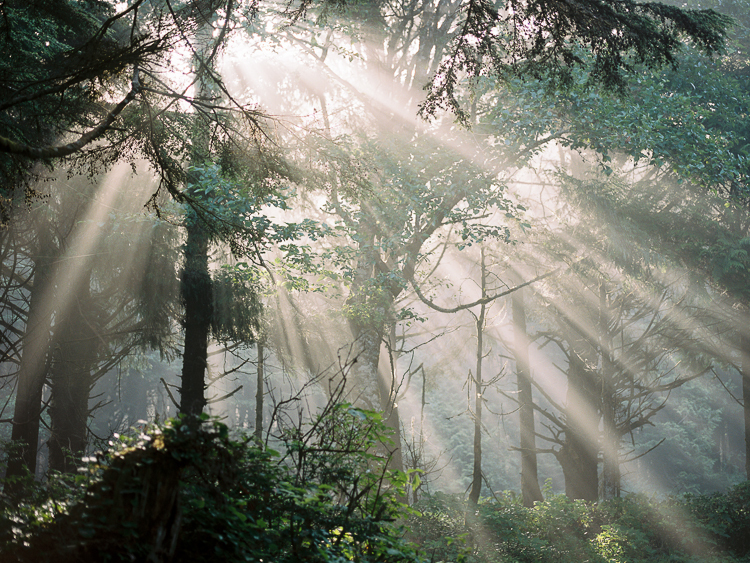 The next day, we woke up to beams of sunlight streaming through the morning fog. Over bleary-eyed bowls of granola, we made friends with a chipmunk, then drove into Queets to take showers in a gas station, which was approximately as enjoyable as it sounds. And then, there was nothing left to do but get back into the car and head to Hoh.